Contamination is a threat to product integrity and a common cause of consumer complaints. Timely identification allows clients to determine origin, establish liability and ensure the appropriate corrective action is taken. Accurate identification is the single most important piece of intelligence required when determining the response to a product contamination. RQA Food Forensics™ seamlessly integrates the expertise of leaders in forensic analysis and unknown identification with expert microbiological laboratories and RQA’s best in class sample retrieval capabilities. Clients can follow the progress of a contamination incident from the time a sample enters our custody to completion of the analysis via a secure, proprietary web-based reporting system. The interactive program allows clients to request further analyses or obtain more details as required. Consumer alleged finding material in canned pineapples. 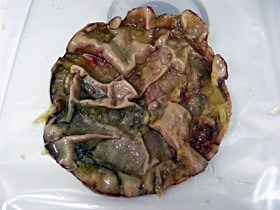 The material is consistent with mold pellicles. Consumer alleged finding a bat head in canned beans. 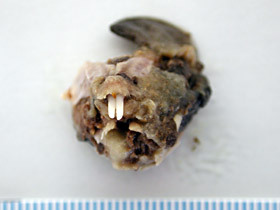 Material was consistent with a cooked, partial rodent head. Consumer alleged finding a mouse in cereal. 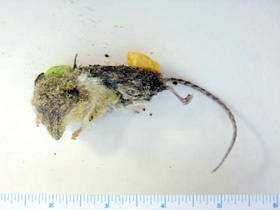 The material is a field mouse in a decayed condition and made its way into the product bag after opening. Consumer alleged finding a piece of glass in jar of pickles. 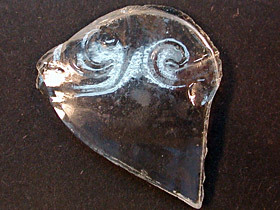 The material is consistent with a piece of glass from the manufacturing plant. 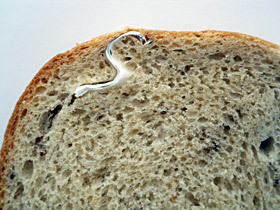 Consumer alleged biting into white plastic in a piece of bread. The material is consistent with white paper with black printed ink that has a thin polymer coating on the printed side. Consumer alleged finding wood in a bagel. 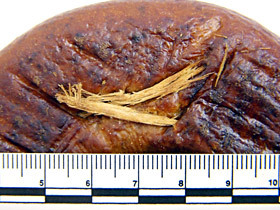 The material is consistent with wood fragments that had been baked with the product. Consumer alleged finding a dead insect in a pound cake. The material is consistent with metal that had been baked with the product. 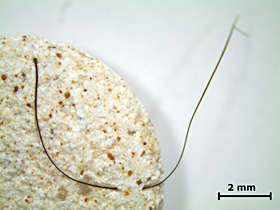 Consumer alleged finding a hair in a tablet. 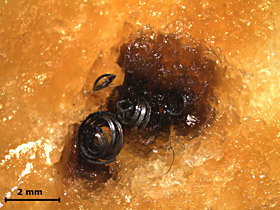 The material is consistent with a brown colored human hair from a Caucasian.